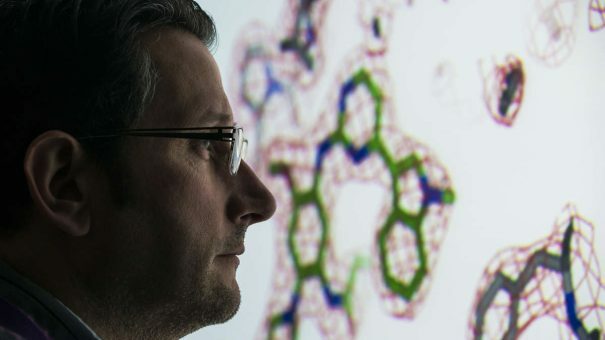 AstraZeneca’s lung cancer drug Tagrisso is on its way to an expanded use in Europe – helping untreated patients to potentially survive longer than at present. Tagrisso (osimertinib) has received a positive opinion from the European Medicines Agency’s CHMP scientific committee for first-line treatment for adults with locally advanced or metastatic non-small cell lung cancer (NSCLC) with activating epidermal growth factor receptor (EGFR) mutations. The recommendation is based on results from the phase 3 FLAURA trial, which assessed the efficacy and safety of Tagrisso as a first-line treatment. It showed an unprecedented median progression-free survival of 18.9 months for Tagrisso versus 10.2 months, compared with current standard of care for patients with this type of cancer. Initially, Tagrisso was developed to conquer a problem that emerges in nearly half of all patients treated with AZ’s older drug Iressa (gefitinib), and other tyrosine kinase inhibitors (TKI) whereby a single amino acid mutation in cancer cells blocks the drug’s action. The medication is a third-generation, irreversible EGFR-TKI designed to inhibit both EGFR-sensitising and EGFR T790M-resistance mutations. It also acts against CNS metastases; approximately 25% of patients with EGFR-mutated NSCLC have brain metastases at diagnosis, increasing to approximately 40% within two years of diagnosis. The FLAURA data showed that Tagrisso is more effective than Iressa or Roche’s Tarceva (erlotinib) in previously untreated patients. As Iressa’s EU patent expired approximately a year ago with the US patent to follow, AZ’s drive to develop a more effective drug could safeguard its market share. Earlier this year, the US FDA approved the use of Tagrisso in this particular first-line population. The positive opinion from the CHMP will now be reviewed by the European Commission, which has the authority to approve medicines for the 28 EU member countries plus Iceland, Norway and Liechtenstein.